Banned Books Week 2011 has been and gone. 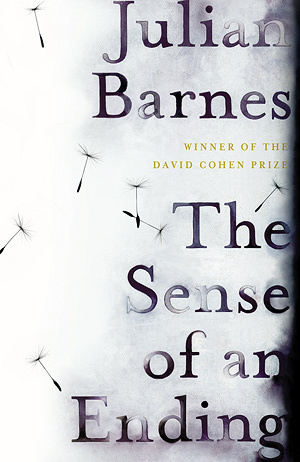 My Booker Shortlist read has stalled, and besides, I promised Sebastian Barry (swoon) I'm putting all my karma on a Julian Barnes win. So I'm calling it: Julian Barnes for The Sense of an Ending. Never lie to an Irishman. Especially when it comes to karma. And when he's as fantastically, unearthly amazing as Sebastian Barry. Who should have won the Booker himself! Not that Barnes's work isn't mind blowingly great. Oh, it is. It's great in the lean, concise style I love. And Barry's great in the poetic, soul-touching way. I love them both but I shall always feel bitter about Man Booker 2011. Reading news? I'm working on S.J. 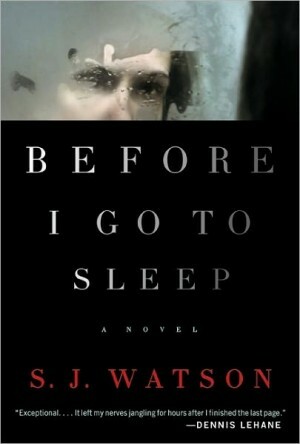 Watson's fantabulous Before I Go to Sleep. Ironically, it's been keeping me up nights. 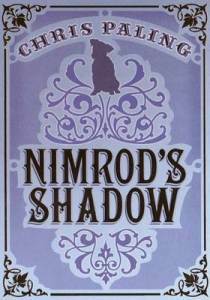 Ditto Nimrod's Shadow by Chris Paling. I've also been downloading free eBooks from Amazon, long-forgotten older works someone should be reading. So I've elected me. Also finished up Colson Whitehead's Zone One for review. Never thought I'd be so intrigued by zombie literature but it's heavily character-driven, written in Whitehead's lush style. I thought it a bit heavy-handed at first but it started to grow on me. Ignore the flippin' Amazon reviews. I'm not sure who's writing them, nor do I care why they've been so down on it. The problem may be its style, actually. I found it perfect for this particular book but it does come off sounding fairly … Not sure how to put it. Dismissive? Aloof? Something like that. But my advice is to read it. It's started me on a Colson Whitehead hunt. I picked up Sag Harbor at one of the Borders funerals. Once I finish that I'll eventually get through his other stuff. Have you read his articles? Holy mother of God. Plus, the cool of that man is legendary. Need I elaborate? Didn't think so. Post-apocalyptic fiction? I guess I was pretty enthralled by Stephen King's The Stand, back in my teens. I read the whole honkin' thing straight through, barely coming up for air. For food, rather and the occasional bathroom break. I holed up in my bedroom with it; I could not put the thing down. Dismiss Stephen King all you will but The Stand is a fine, fine novel. Much better than that Dan Brown thriller crap as far as page-turners go. Next week I'm meeting Chris Bohjalian, on his The Night Strangers tour. He's coming to the Waukegan Library on the 10th and I already okayed a short interview/chat with him. Excited for that. May get to the Bill Bryson reading/signing via Anderson's Bookshop in Naperville, IL, too. Only that's one of those auditorium events. And I'm not sure I have the energy to chat up his agent for an interview. Lacking that, I'm sure he's a fun speaker. He's a damn funny writer. Maybe I will. Week after that, Michael Cunningham, Goldie Goldbloom and Elizabeth Berg. And that's it for now from Bluestalking Headquarters. So much exciting stuff percolating in your bookish world! Can’t wait to read the Q&A with Bohjalian. Previous Post Official GIVEAWAY winners!